My friend wanted to give her son’s nursery carers a parting gift but was stuck for ideas. 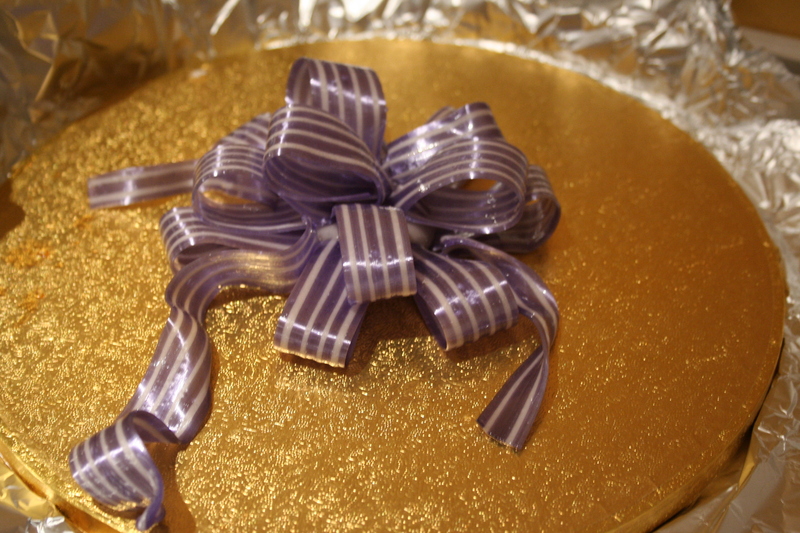 So here’s a cake I made for her – all gift wrapped and ready to eat! The cake itself is a chocolate sponge filled with chocolate buttercream icing. I have covered it with chocolate flavoured sugar paste icing and stuck some round cut outs in shades of pink and purple as this is a cake for girls. Normal sugarpaste cannot hold its shape very well, so for the bow on top, I went for flowerpaste instead. I was able to get a neat little bow & give the cake a little bit of height too. I made about 10-12 loops from flowerpaste strips and assembled them on a small disc one layer at a time. This is a technique I had used before with pulled sugar. I am pleased to report that it worked in this case too! 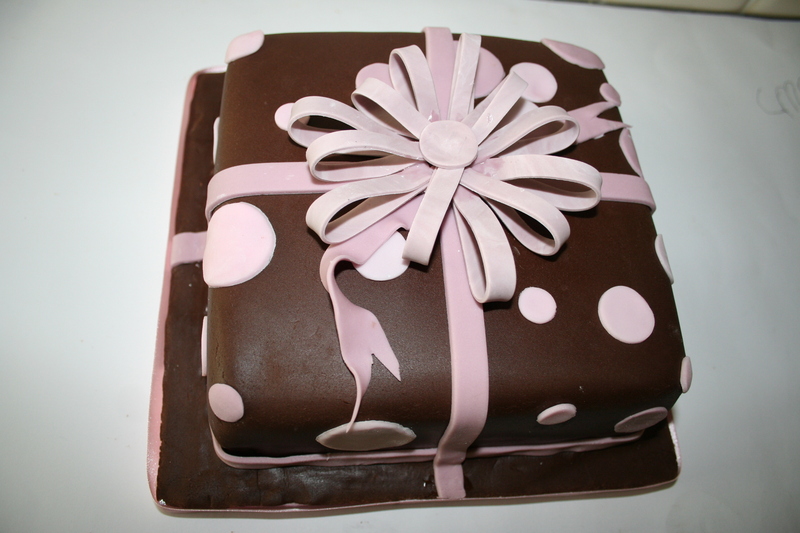 This entry was posted in Cake, Custom, Design, Fun and tagged "Gift wrapped", "Present cake" "sugar ribbons". Bookmark the permalink. That post made me hungry!